A trust, which is a commonly used estate planning tool, does not legally exist until property has been transferred to the trust. Technically, the trustee of the trust holds legal title to all trust property. The beneficiaries of the trust hold what is called equitable title, which basically means the right to benefit from the property. Because the trustee owns legal title, the trustee is the person who is actually named on the paper title to the trust property. Identify all trust property in the actual trust agreement. Most trust agreements include an appendix that contains a schedule of all trust property. Prepare a deed or bill of sale transferring title to the trustee. For real estate, a deed is required, while for personal property a bill of sale or simple conveyance agreement will suffice. Identify the trustee as the grantee in the deed, bill of sale, or conveyance agreement, using the following designation: "[Insert Name of Trustee], as Trustee of the [Insert Name of Trust] Trust." Inform any related parties of the property transfer. For example, if you have transferred a bank account or insurance policy to a trust, you will need to inform the financial institution or insurance company of the transfer of title to the trust. 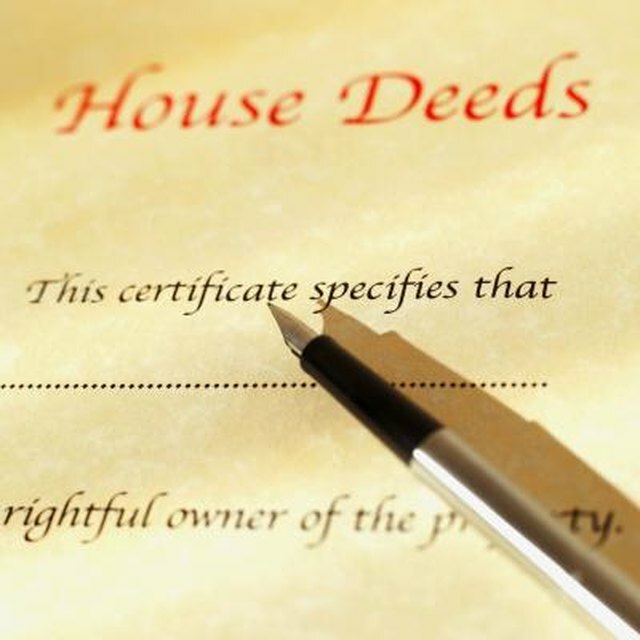 Record a copy of the deed, if required by state law. Generally, most state laws either require or provide legal protection for recording a deed on the transfer of real estate title. Recording means filing a copy of the deed in the local county public property records. Recording is not necessary or helpful for personal property transfers. Before transferring any type of account, such as a bank or retirement account or insurance policy to your trust, you should check with the financial institution where the account is held. The institution likely has simple forms that you can use to transfer the account to a trust, which can save you some hassle and guesswork. If you transfer title to a trustee without including the limiting designation "as trustee of the trust" then you may risk losing that property. The trustee could claim that the property was not transferred in trust, which means the trustee would be the absolute owner of the property free and clear from the trust. To avoid such a situation, it is always advisable to title trust property in the trustee's name with the limiting language "as trustee of the trust."